Ambrell will return to MFG4 in Hartford, CT. The show runs May 3-5 at the Connecticut Convention Center and Ambrell will exhibit in booth 1712. The show targets the medical, defense and aerospace industries, and Ambrell has experience with an array of applications in all three industries -- from fastener hot heading in the aerospace industry, to metal-to-plastic insertion in the medical industry, to brazing in the defense industry. 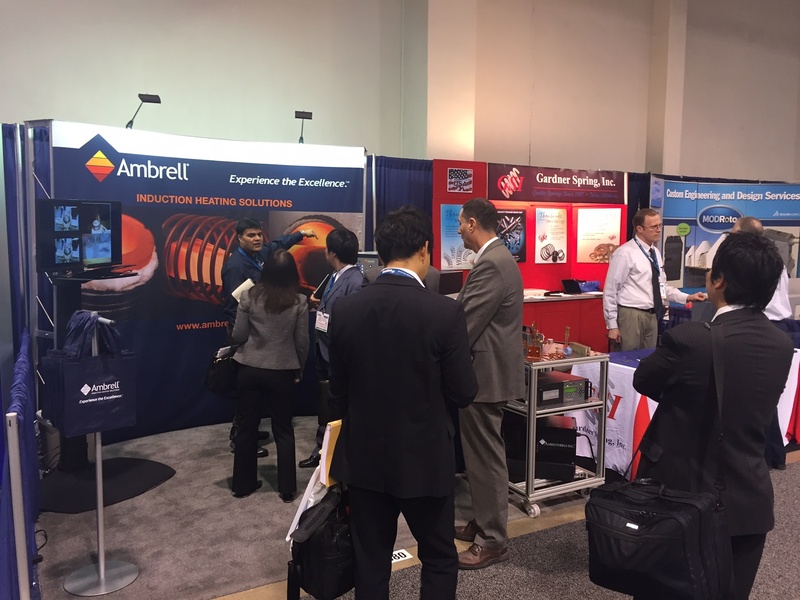 At the booth, attendees can see induction heating in action and learn more about Ambrell's free applications testing from THE LAB. Attendees who have heating applications can learn more about the benefits of induction heating and get the applications testing process started. If you visit the booth and mention this blog post, you'll receive a free remote device charger -- perfect for when you're away from an outlet.